Our offices at 39 Georgenstraße are easy to reach both by car and public trans­port. Travelling nor­thwards out of town along Leopoldstraße, at the first set of lights after Siegestor (Triumphal Arch) turn left into Georgenstraße. 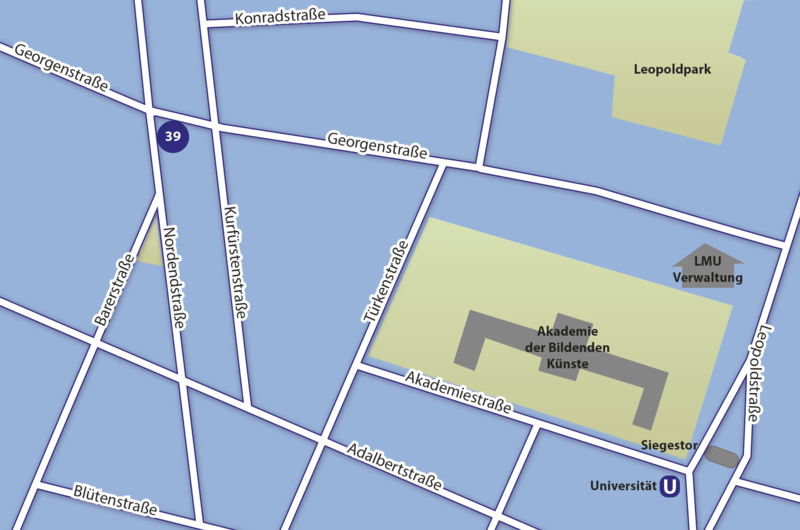 You will find our offices at the inter­sec­tion with Nordendstraße. Please reser­ve a par­king space in our under­ground gara­ge. Parking licen­ces are avail­ab­le with us.